One of the things I admired greatly about Tiger Woods in his heyday was his utmost belief going into any golf tournament that he would win the title come Sunday. 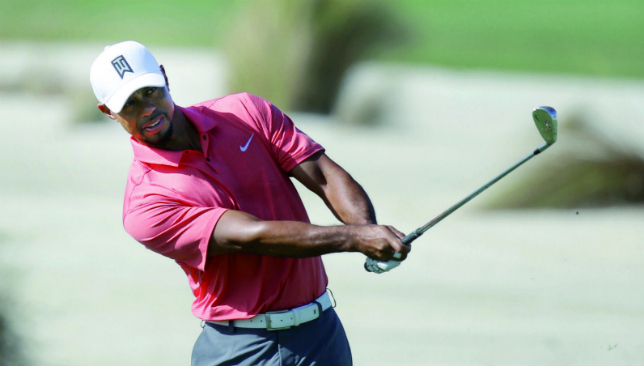 All he looked for was a ‘W’ – that’s what Woods always called a win. It didn’t matter whether he was playing a golf course for the first time, whether he was coming from completely different set of playing conditions, or whether he was sick or injured. Woods aimed for nothing less than a victory, and history is proof that he more often than not achieved what he aimed for. As the 14-time major champion makes his comeback to competitive golf today at the Hero World Challenge, exactly 466 days after he hit his last shot in a tournament at the 2015 Wyndham Championship, it is impossible not to compare his outlook on golf this week, as against exactly one year ago during the 2015 Hero World Challenge. It wasn’t vintage Woods at the press conference in the Bahamas on Tuesday, but he sounded so much better than the Woods which turned up at that venue last year. Just sample some of his comments from back then: “I think pretty much everything beyond this will be gravy” – when asked about his future. “There’s really nothing I can look forward to, nothing I can build toward” – when asked if he knew when he’d start hitting balls again. I have followed Woods since he announced ‘Hello World’ back in 1996, but I have never heard him being that downbeat and fatalistic. To hear someone of his stature talk like that, was quite sad. So, even though he did not say he was going to win this week, his positivity and talk of following a process which should, hopefully, lead to several wins in the future, meant we saw a version of Woods the golfing world has missed. Most critics have been harsh on his decision not to play the Safeway Open in October, where he pulled out at the last minute saying his game still felt vulnerable. And they also feel he has chosen a soft start by playing in a limited-field event which has no half-way cut. I personally feel we need to give Woods some space and more time. One back surgery can ruin a golf career, and he has now undergone three. Add one knee surgery as well. Let’s not expect him to start winning and playing at the level we have become accustomed to seeing him at. This week in the Bahamas, Woods’ score and finish do not matter. What matters is the mindset with which he plays his golf. If he does not back out of playing shots which we all know he can hit, it will be a massive step in the right direction. Aditi Ashok first served notice four years ago, when as a 14-year-old amateur, she not only made the professional cut playing the Hero Women’s Indian Open, but actually finished tied for eighth place in the Ladies European Tour event. Fast forward to today, she is 18 and in her first season as a professional. The Bangalore-based girl has taken over from Hideki Matsuyama as the hottest golfer in the planet, winning her last two starts – at the Indian Open, followed by the inaugural Qatar Ladies Open. That’s some achievement considering Ashok turned professional this year after securing her LET card by winning the Qualifying School. She is now No2 in the LET Order of Merit, and also assured of finishing the season as the Rookie of the Year. Only one debut has been better than Ashok in the history of LET – Spain’s Carlota Ciganda winning both Order of Merit and Rookie of the Year crowns in 2012. 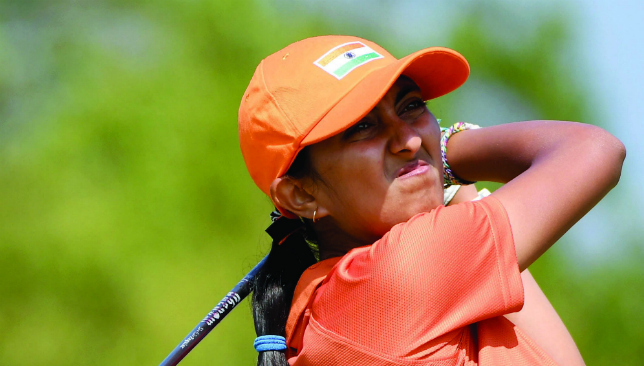 Ashok chose the platform of Olympics to announce her arrival of the global stage – wowing the fans by grabbing sole lead in the tournament after 27 holes, before finishing tied 41st. 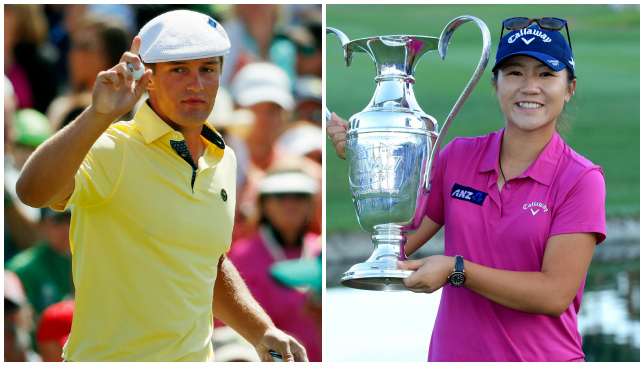 Since August, she has been unstoppable, turning out one top-10 finish after another. And this week in Daytona Beach, she is trying her hands at the LPGA Tour Qualifying School, having made it to the final stage. If she manages to get her LPGA Tour card, that would be some icing on the cake. 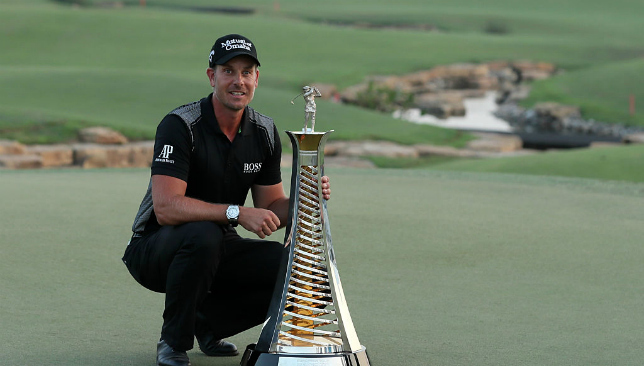 Henrik Stenson deservedly won the Race to Dubai. Danny Willett had a fantastic start to the season – winning Dubai Desert Classic and the Masters – and Alex Noren produced a storming finish – winning four tournaments since July’s Scottish Open – but the world No4 from Sweden produced sustained brilliance throughout the year. And I have no doubt he also had the performance of the year – that amazing duel with Phil Mickelson at Royal Troon, where he won the Open Championship in record fashion. Despite starting the season with a dodgy knee, Stenson was second in Nedbank, third at the Abu Dhabi HSBC Championship and sixth in Dubai Desert Classic. He then experienced his biggest dip in form when he was tied 28th at two-over in the WGC-Cadillac Championship, followed by a tied 24th place at six-over par at The Masters. He also had to pull out of the US Open after opening with a 69 because of a calf injury. Once he got over that, there was no stopping him. In all, he played 15 events on the European Tour, did not miss any cuts (the US Open was technically a WD), posted two wins, three runners-up and 11 top-10s in total. The silver at the Rio Olympics just added to the overall glow. Stenson’s season was the fact that he averaged as many as 5.1 birdies per round, with the second-best player Rory McIlroy averaging 4.4. He was also first in scoring average (69.14), second in fairways hit (76.4 per cent) and second in greens in regulation (77.8 per cent). One of the major reasons of Stenson’s success, and he will be the first to admit it, is the team that he has managed to put together. Having said that, what is more incredible is the trust he develops in his team members, and how he tends to stick by them through thick and thin. So, his swing coach Pete Cowen, and mental coach Torsten Hansson, have been by his side for more than a decade now. Caddie Gareth Lord has been on the bag for the last four years, only because his predecessor the legendary Fanny Sunesson, decided to change her career. Physio Cornel Driessen has been with him ever since the first knee surgery in 2011. Even though Cowen said last week that if Stenson listened to him all the time, he would have been world No1 for more than five years, the truth is that the Swede has implicit faith his coach who has helped him come out of two deep slumps. The only thing Stenson does not have on his side is age. He is 40, and while that may not be a deterrent in golf right now, he realistically has a time span of 5-6 years to achieve his remaining dreams: becoming world No1 and winning the Masters being probably the main two. He is working hard and has often said that this is the fittest he has felt ever in his career. Hopefully, we are yet to see the best of him. The World Cup of Golf returns this week in a much different version than the one we witnessed in 2013. Back then, the tournament was lampooned because it could hardly be called a team event. It was played on an individual strokeplay format and there was an individual winner, as well as a team winner (combined lowest score of two players). This year, I think is the perfect format – fourballs and foursomes on alternate days and no individual element involved. And yet, the tournament has again been shrouded in controversy. This time, it is the rule applying to team selection. The 28 nations have been chosen on the basis of world rankings of leading players. The leading player was then asked to pick his partner, who has got to be inside the world top-500. So, Danny Willett chose Lee Westwood, even though there were many other Englishmen in between them. And when the Masters champion decided not to play, Westwood also lost his chance. That’s because the next highest-ranked Englishman Chris Wood, decided to partner Andy Sullivan. For Scotland, world No19 Russell Knox skipped over several players and opted for Duncan Stewart, a close friend of his, but someone who is ranked 316th in the world. I kind of like this rule. It puts the onus on the leading player, who has to make a captain’s pick. And obviously, he’d like to choose someone with whom he feels comfortable. Since they are representing their country, we just have to trust that they have made the correct choice.